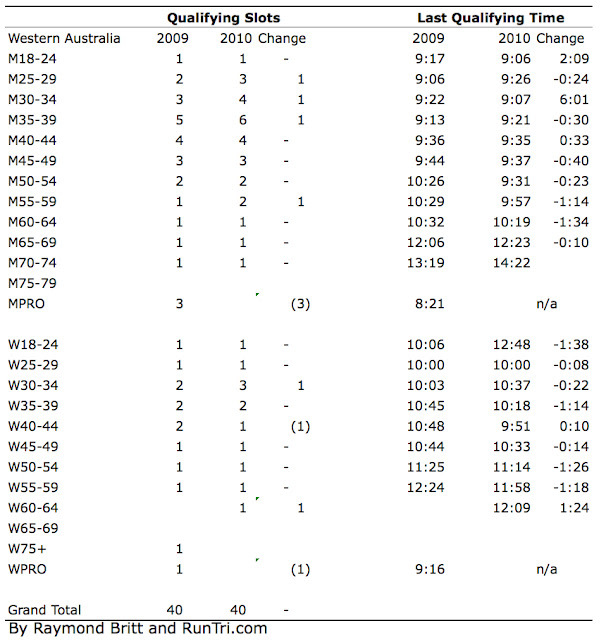 Congratulations to all finishers at the 2010 Ironman Western Australia in Busselton. Average finish time overall was 11:48, with a 3% DNF rate. 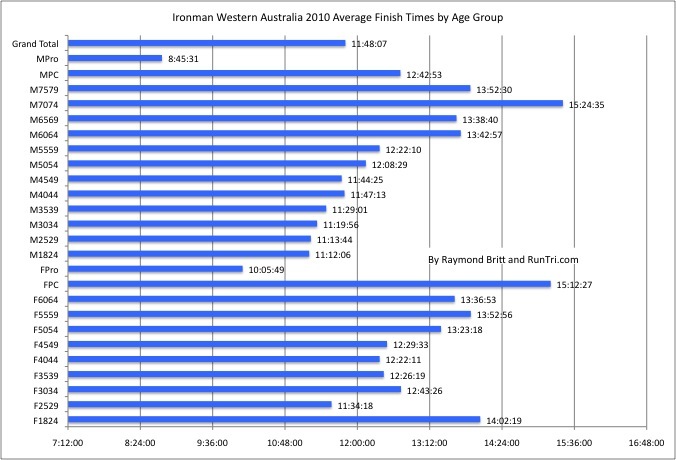 Full list of finishers at ironman.com; see our analysis of average finish time by race division. Also see our list of Kona Qualifiers.